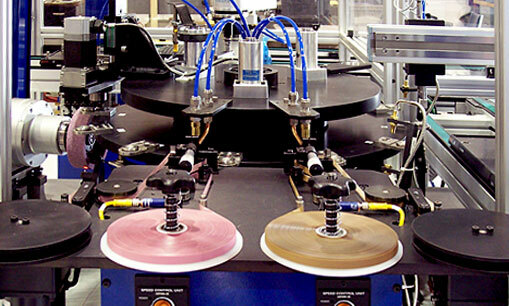 Automated Packaging Machines | Steven Douglas Corp. The need for smarter, safer and highly technical machines continues to evolve. 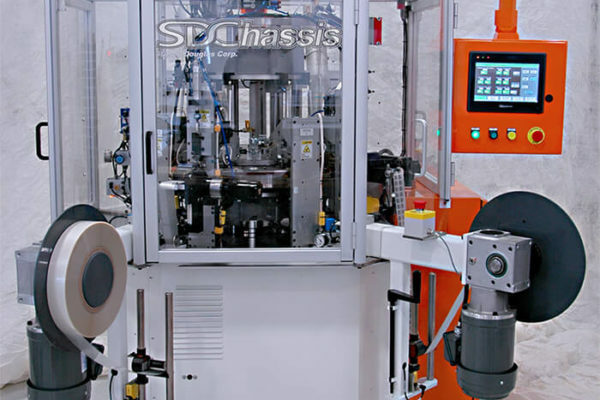 SDC tackles this growing industry concern by designing and building fully automated, custom packing and material handling machines that meet and exceed safety regulations and production requirements. Packing and material handling equipment can improve efficiency by increasing output, controlling costs, and maximizing productivity. Our custom engineered packing and material handling systems are often a combination of many different technologies integrated to one system, including handling robots, conveyors, shuttles, escapements, traying systems, and many other automated handling technologies. Through years of experience with designing and building material handling machine, SDC developed a proprietary FlexFeeding system. 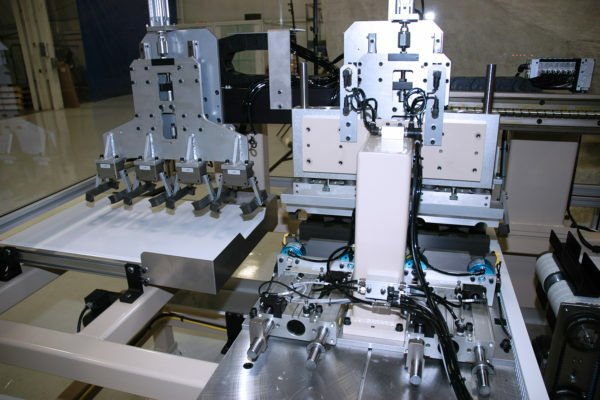 Our FlexFeeding system takes bulk fed components and uses a combination of vision guided robotics and conveyor systems to quickly and accurately execute machine pick and place functions.